Most people get shivers and fringe when they hear the word “Cold Water Diving”, but you must remember that it’s not cold water that isn’t fun, but being Cold. You can actually see more marine life on some cold water dives than you can on most warm water dives, with the exception of coral reefs of course. PADI describes cold water diving as temperatures cooler than 15ºC/60ºF, and diving in these harsh conditions require special diving equipment, one of the most important being the scuba regulator. But, What are the best cold water Regulator? In this article, you are going to find out what you need to look for in a good cold water regulator, as well as my pick and reviews of best cold water regulators. Why You Need A Specially Designed Regulator For Cold Water Diving? So, What Should You Look for In a Good Cold Water Regulator? Pretty much all regulator can be used for warm water diving, but not all of them can be used for diving in cold water, this is because of icing. Icing occurs when ice forms on the internal mechanisms of the regulator, allowing it to freeze up and not function properly. It is not the cold water that makes the regulator freeze but the drop in temperature from the expanding gas being released from the cylinder. This effect is further explained and illustrated by the YouTube video below, done by Mares Labs, as well as some of the technology they use to combat the cold. When choosing a cold water regulator, there are a few things you will want to look for. Below are the most important components you would want in the perfect cold water regulator. 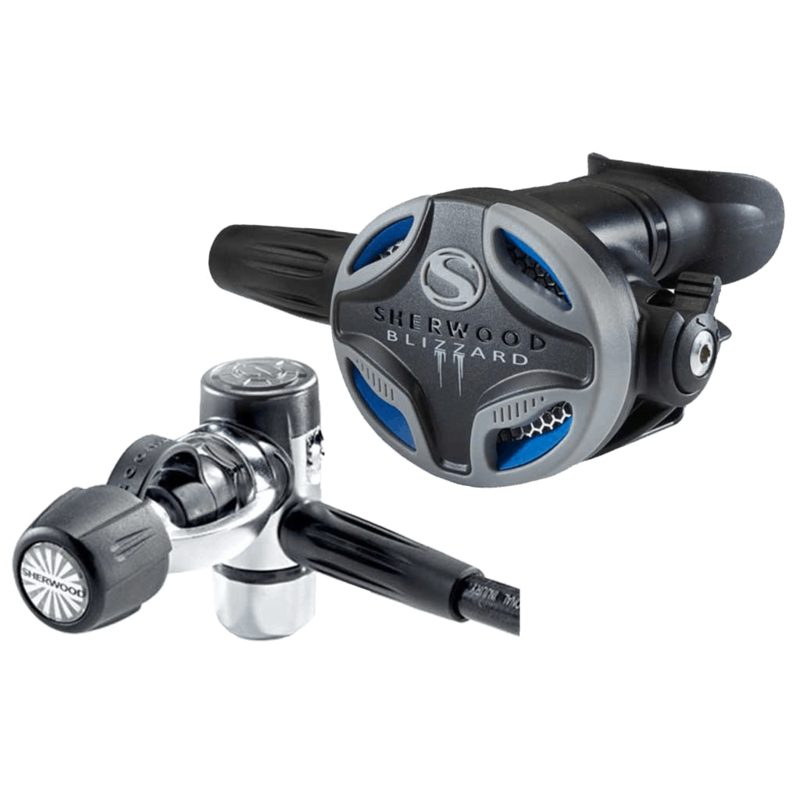 Environmentally Sealed – If you are planning on diving in extremely cold water, then it recommends getting a regulator that is environmentally sealed. When a first stage is environmentally sealed the internal components does not come in direct contact with the cold water, which in turns reduces the chance of freezing. Metal Second Stage – In extreme cold it’s also recommended to use a metal second stage as opposed to plastic. This is because a metal second stage has more thermal conductivity. Metal retains warms which in turn warms the expanding gasses. Don’t breathe from or purge your second stage if you’re not underwater. Set your second stage breathing resistance to min. Expose all metal parts of your regulator to the water by removing hose protectors. Each dive regulator manufacturer has their own technology they use to beat the cold. It really doesn’t matter how they do it, as long as they get the job done effectively. Below is my pick for the best cold water scuba regulators and some of the technology they use to fight the cold. They are listed in no specific order. 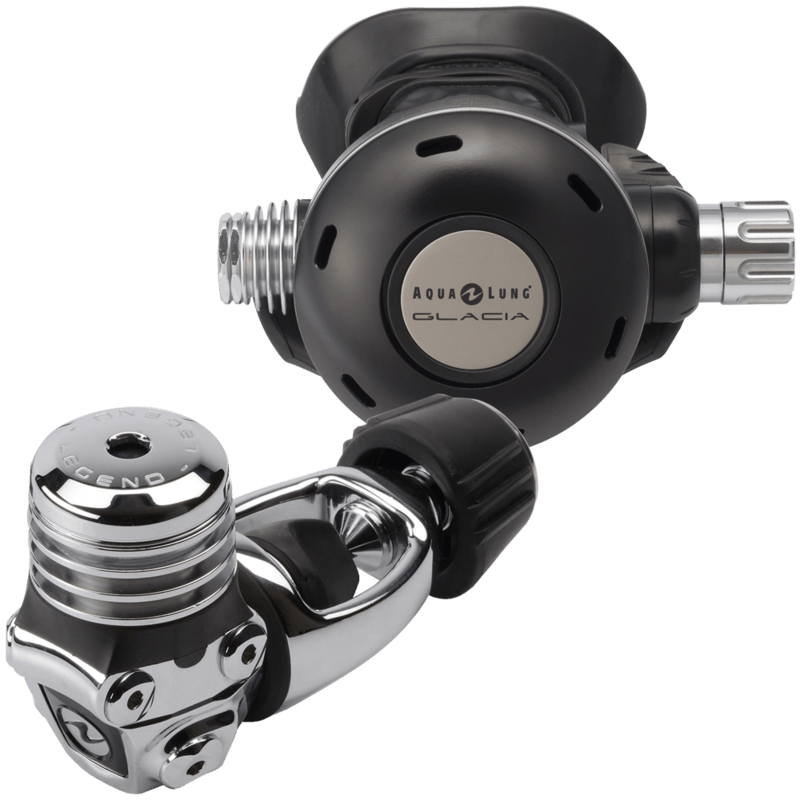 The Legend Glacia is the newest regulator in the Legend line of Aqua Lung Regulators and has been specifically designed for diving in extremely cold water conditions. 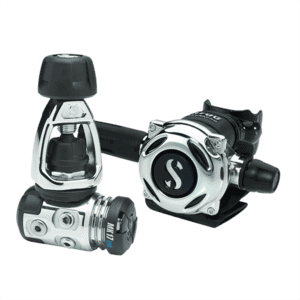 Not only did they design a regulator that works great in cold water diving, but also boast exceptional breathing performance, similar to that of the Legend Supreme. To fight the cold, the Legend Glacia is fitted with three heat exchanger situated throughout the regulator to keep the air as close to ambient temperature and reduce the effects of icing. The first one completely surrounds the first stage environmental dry chamber, the second is found inline the low-pressure hose, and the third is adjacent to the second stage casing. The Legend Glacia features an overbalanced environmentally sealed the first stage with 2HP and 4 LP Ports. It also comes with the Aqua Lung Auto-Closure Device (ACD). This seals the first stage inlet fitting as soon as it is removed from the cylinder. In the event that you forget to put on the dust cap, it will prevent water or other contaminants from entering the first stage. The Second stage is also balanced and is made with an aluminum cover for added thermal conductivity. It has a user adjustable inhalation knob to adjust breathing efforts on the fly. It also comes with a lip shield to keep lips warm while diving. This regulator system is specifically designed for the harsh conditions of Ice diving without sacrificing any of the preference you would expect from a Legend regular. Excellent for cold water. Took this on a deep ice dive no free-flow and no change in airflow. The manual air control has been great for increasing my bottom time. Not environmentally seal,XTIS works great at preventing freezing. The mk25 Evo is considered to be one of the best performing balanced piston first stages on the market today. Although it’s not technically environmentally seal, like most other cold water regulators, a new “XTIS” makes the regulator up to 30% more freezing resistant than previous versions. The mainspring and piston shaft are specially treated and protected to help prevent ice crystals forming that could lead to a freezing first stage. The A700 Second stage is the perfect match for the Mk25 Evo with its high-performance balanced valve, adjustable inhalation and venturi control. It’s all mental housing metal housing offers excellent thermal connectivity and help dissipate the cold generated by the compressed air as it expands in the second stage. The venturi does a great job of managing free-flows on the surface and the diver inhalation adjustment allows you to customize the breathing to your own personal preference and needs. 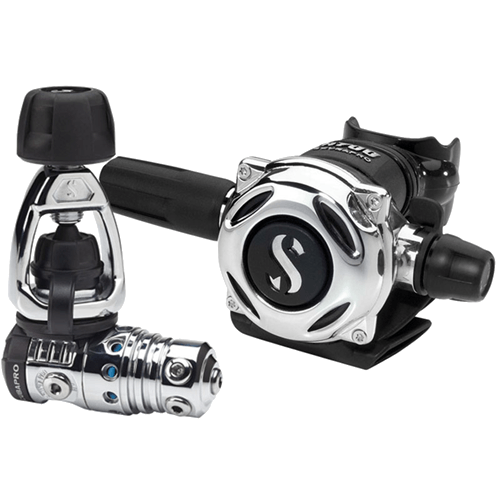 The Scubapro MK25 Evo A700 is a great choice if you’re looking for a high-performance regulator that works flawlessly in cold water conditions. I have had this for 3 years now, about 150 dives on it. Even in cold water I have had no issues with it. (35-45 degree water) Easy breathing and reliable. It has held up to being dropped a few times, only scratched the finish a little. Friend borrowed it one weekend and traded off his reg to get this one. 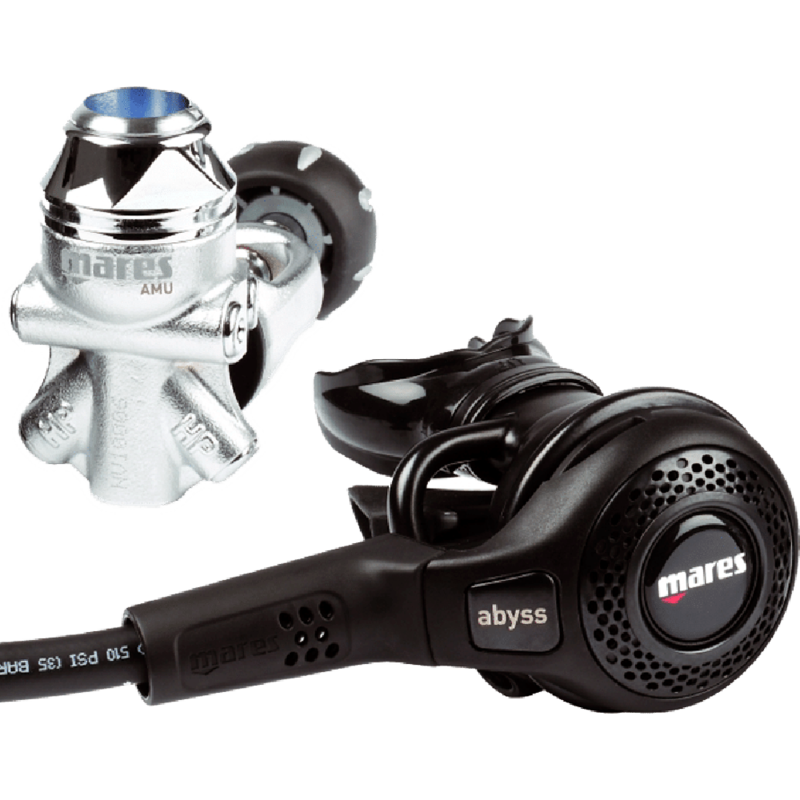 This Mares regulator is specifically designed for cold water use and is made to pass the US Navy test requirement for cold water diving, making it robust in the most extreme dive condition. It uses the Mares 22 balanced first stage with an environmental cap, which actually keeps the cold water from interacting with the parts inside. The odd shape of the first state is due to mares cutting away all excess metals to make it more compact and lightweight. It features 2 HP ports, one on either side of the regulator, and 4 LP port, two on each side for optimum hose routing. The Abyss second stage housing is constructed from metal for its thermal conductivity properties. 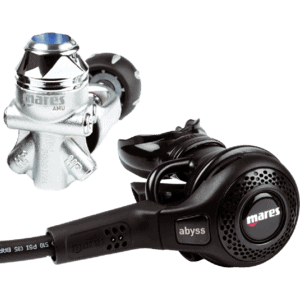 It features an unbalanced system, however, Mares claims the 22 first stage intermediate pressure drop is so minimal that they can use a more simple and reliable valve system without sacrificing performance. They also claim that no driver adjustments are necessary because the first stage delivers a constant airflow under the most extreme conditions. The second stage also has a bypass tube, which bypasses air directly to the mouthpiece on inhalation. This creates a vortex that keeps the diaphragm down, which makes for very sensitive and easy breathing. This regulator makes a great alternative to the more expensive cold water regulators and lack of any user adjustment makes it a really easy regulator to dive with. Top piece of kit. I have been using and abusing it for three years now and it has worked 100% flawlessly.Seems totally indestructible. Use includes Technical diving to 70m, funny gasses, ice and tropical diving, heaps of rough travel, limited access to servicing facilities. 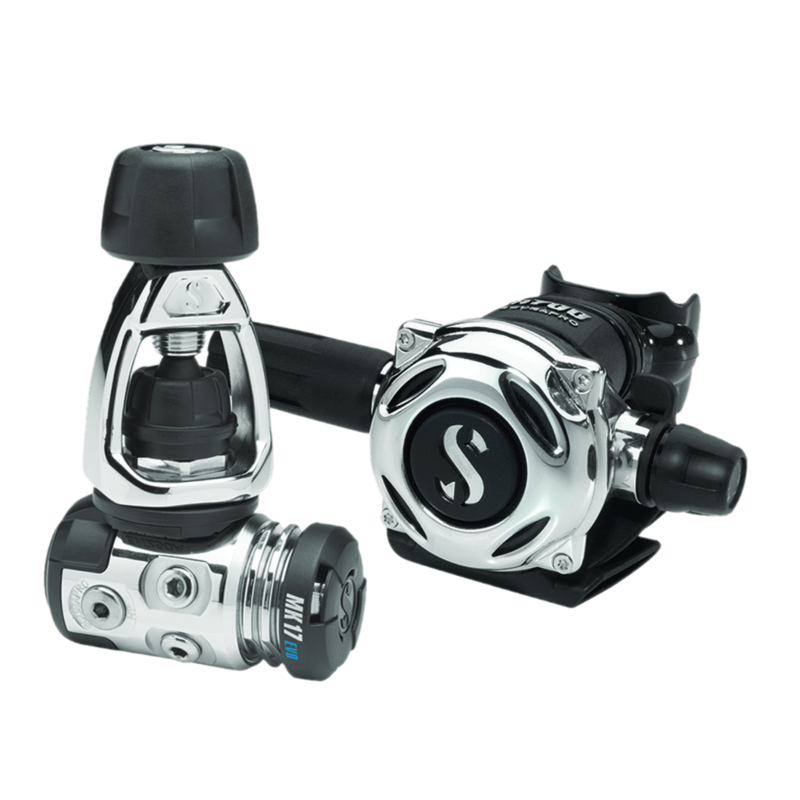 To create the ideal cold water regulator Scubapro paired their popular MK17 first stage with their flagship second stage the A700. Both have a compact design for lightweight and comfort and qualities especially designed for the harsh conditions of cold water. The Mk17 first stage is a balanced diaphragm first stage, ensuring that you get the best breathing performance at any tank pressure or depth. It is also environmentally sealed and equipment with heat exchangers around the first stage to help prevent the regulator from freezing up. It comes with 2 HP ports on either side and four low-pressure ports, two on each side. The A700 second stage is crafted with precision from metal. Metal offer excellent thermal conductivity which helps prevent ice crystals from forming. It also features an adjustable inhalation knob for fine tuning your breathing on the dive. A venturi switch to help prevent free flows on the surface and delivers better performance on the dive. Both can easily be operated while wearing thick gloves. If you are looking for a more compact system for your cold water dives this would be a great choice. It is also Nitrox compatible right out of the box and available in a black tech version, which is much harder to scratch than the chrome version. Great reg! I had an earlier generation of this regulator that I've used for the past 10 years. The previous reg worked flawlessly and is now on my backup system. This new generation blizzard provides me ez-flo even on the hardest days. I highly recommend this regulator for anyone working in cold Waters. Patented dry sealed chamber environmentally seals the first stage with out using messy greases and oil. 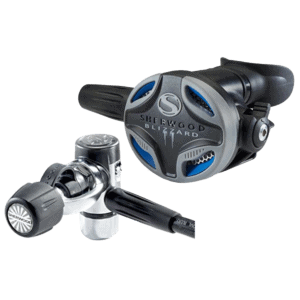 As the name implies, this line of Sherwood regulator was made especially for cold water diving. Previous models of this regulator have gotten rave reviews for its performance in extremely cold water conditions. However, It has gone through a complete remake make an already great regulator even better. The new first stage uses a balanced piston in a dry sealed chamber, so the internal part does not come in contact with the cold water. It is now designed vertically for better streamlining, and also features 2 HP ports on either side and 4 LP for optimum hose routing. The second stage is also balanced and the housing is made from plastic but uses a metal heat sink which captures the heat from your exhalation to warm up the operating parts, preventing it from freezing up in cold water. A great choice if you’re looking for a more affordable option.